This volume explores the impact of multilingualism on learning, teaching and assessment, viewed from the perspective of policies, procedures and challenges. 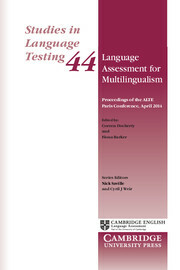 Language Assessment for Multilingualism brings together a selection of edited papers based on presentations given at the Fifth International Conference of the Association of Language Testers in Europe (ALTE) held in Paris, France, in April 2014. The selected papers focus on the conference's core themes: the effect of multilingualism on international mobility; how multilingualism can address the challenge of increasing linguistic diversity; the impact of intercultural communication on linguistic competence; and how to ensure fairness and quality in language assessment. 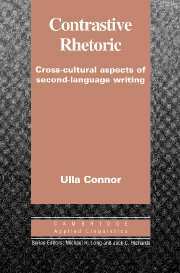 Shows how a person's first language and culture influence writing in a second language.